10 Tray Dual Zone Excalibur RES10 - NEW!! Pay by bank transfer & save 3% - pay only $1182.33! Brand new technology from Excalibur. 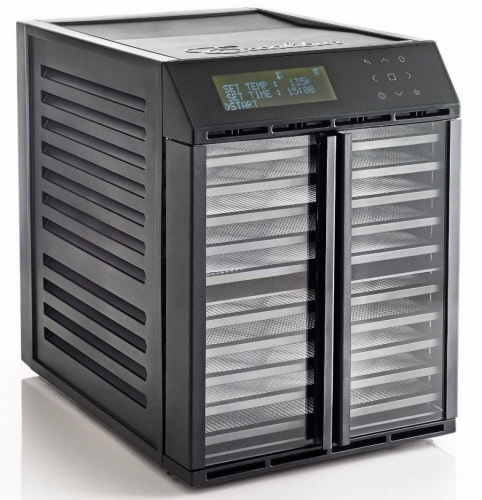 30 Programmable settings, dual drying zones. 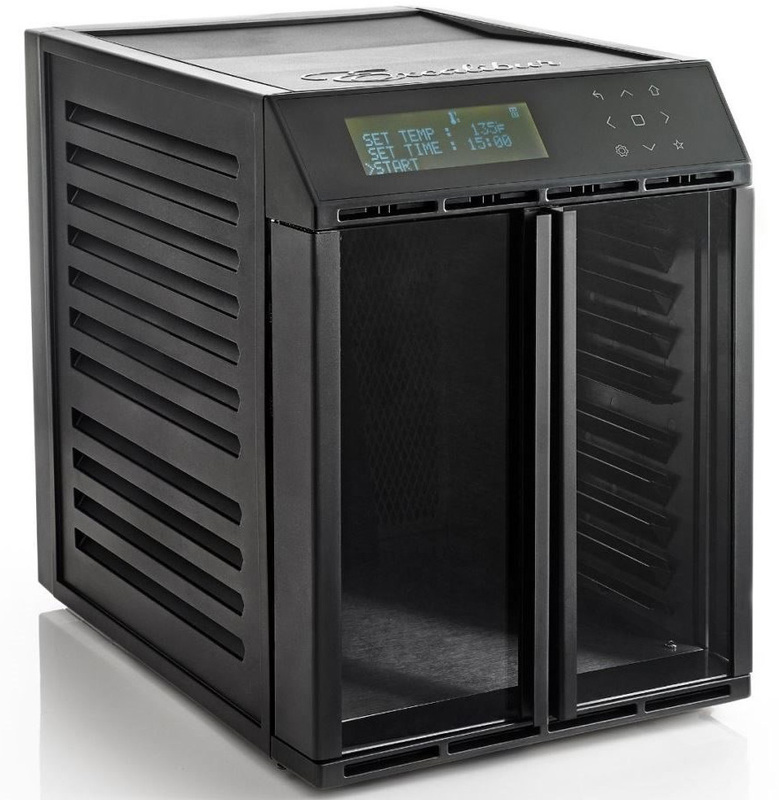 The Excalibur® Model RES10, 10-tray, 99 Hour 59 Min Timer Dehydrator with smart digital controls. Clear, double door opening lets you view progress without interrupting the drying process. 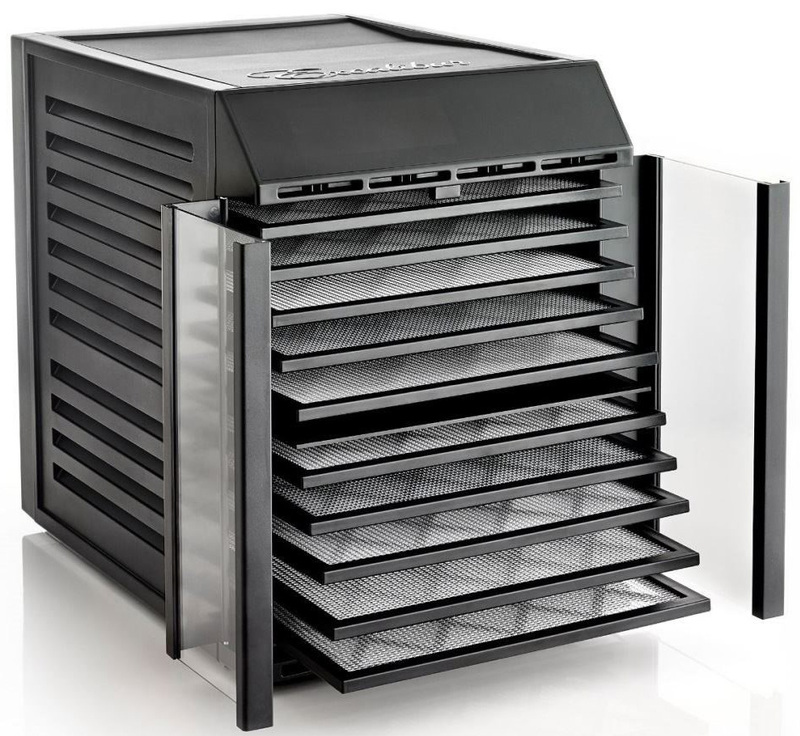 The Model RES10 comes complete with a total of 8169 cm2 (9.3 ft2) of drying space, 131.00 CFM air flow with two independent fans, two independent adjustable thermostats 29.4°C - 73.9° C (85°F - 165°F), Hyperwave™ Patented Technology, and Parallex® Horizontal Air Flow. Dehydrate using zone A, zone B or both zones A and B. Each zone can set for 1 or 2 time durations and 1 or 2 temperature settings for variable food drying needs and to speed up the drying process. Option to program and save 30 of your favourite recipes. 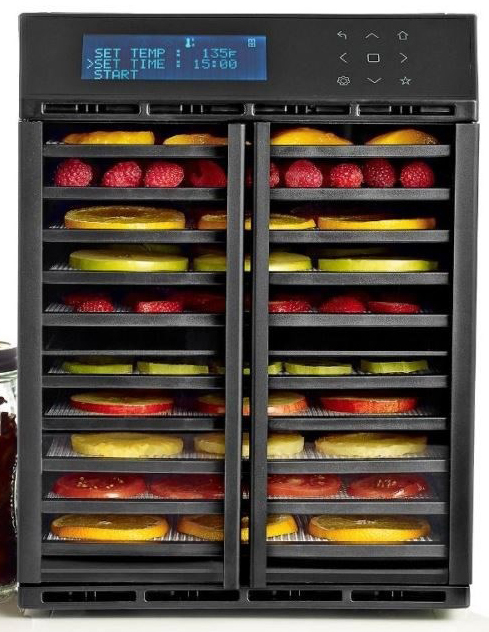 Check out this independent review by "Dehydrator judge" in USA, rating the 9 tray digital Excalibur as the no.1 dehydrator.